Gorgeous Jamie Jackson, with his cheeky grin and adorable puppy, works as a sculptor opposite Melody's jewellery shop. From the moment he and Melody meet sparks fly. But despite their instant attraction, a past heartache is holding Jamie back. As Melody starts to make a life for herself in the close-knit, quirky seaside community, she realises Jamie could be the one for her. But as the two of them take a chance on romance, it's one dating disaster after another. Are they destined to always be just good friends? 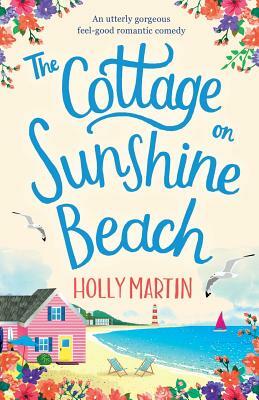 A perfect, feel-good summer read that will make you want to escape to the beach for a romantic day in the sun. If you enjoy reading Sarah Morgan, Jenny Oliver and Lucy Diamond this book is for you.